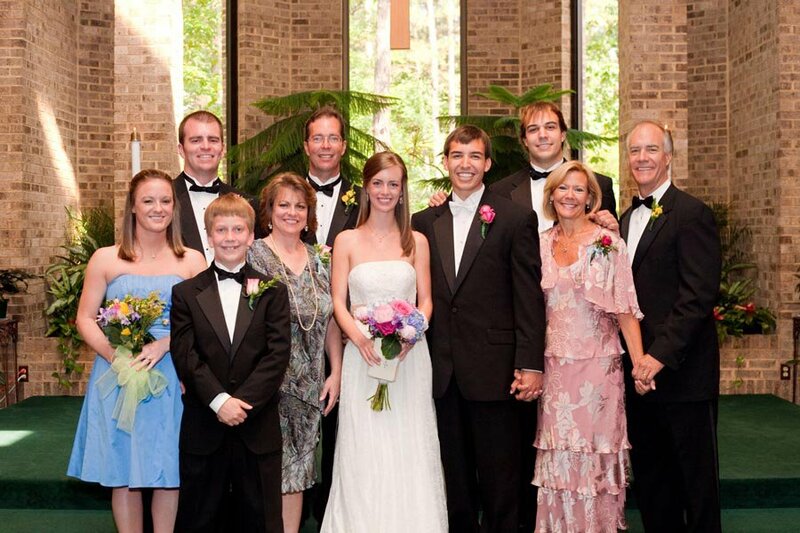 Thirty-six years ago, today, my parents took their wedding vows in Raleigh, North Carolina. Like me, they were just 21 years old when they got married. And like me, they had just finished their junior year at UNC. I always loved hearing the story of how they met in freshman volleyball class, and how my mom was the first to ask my dad on a date in April of their second semester. 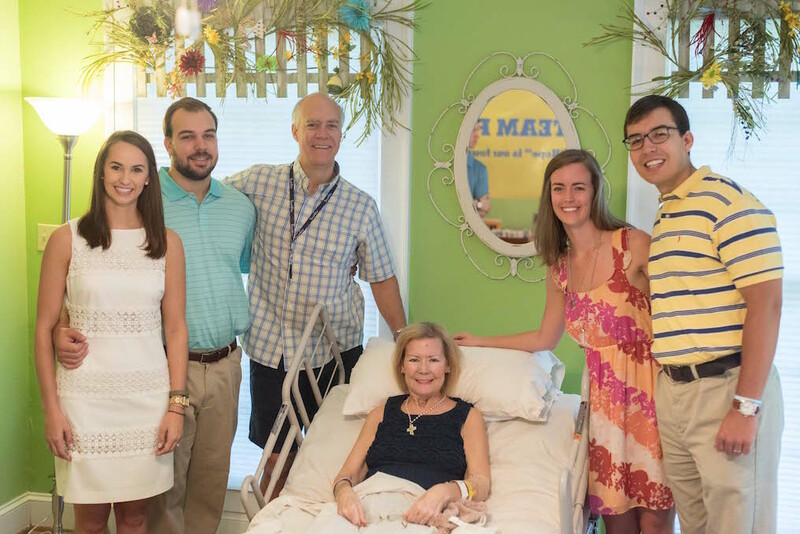 I know that they took the traditional vows that many of us have, to love each other “in plenty and in want; in sickness and in health; in joy and in sorrow.” But it wasn’t until I was a freshman in college that I really saw what that meant. Toward the end of my first year of college, my family started noticing some lapses in my dad’s speech. Since he was a preacher, we had extended opportunities to hear him speak every week. At first, it was just tripping over a word (we all do that), and then it was a messed up punchline to a joke (Dad rarely missed on those). In the months ahead, we explored a variety of possibilities for what might be causing those neurological issues. Was it genetic hardening of the arteries? Was it the (benign) pituitary tumor the doctors discovered in his brain? Was it dementia? 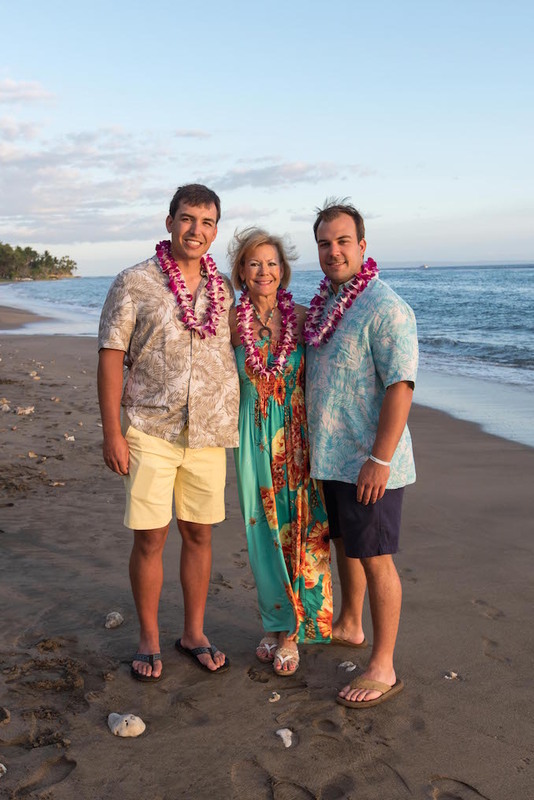 My mom fought tirelessly to find answers, while also maintaining her full time teaching job and continuing to raise my then-10-year-old brother. 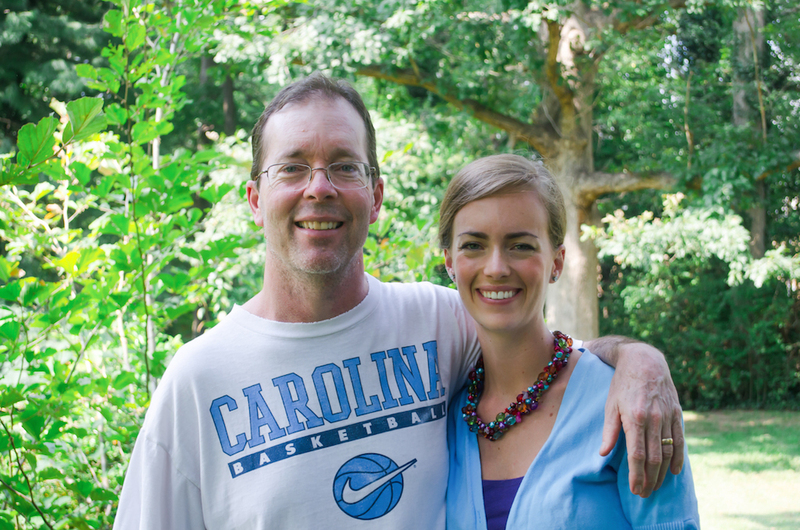 Their search led them to a neurologist in Chapel Hill who all but confirmed that my dad was suffering from early-onset Alzheimer’s disease (the official diagnosis came later). It just so happens that the day of that appointment was the same day that Nick asked my parents for my hand in marriage. He clearly had some idea of what was to come in our marriage–and I thank God everyday that he still asked–but neither of us yet knew how important those vows of “in joy and in sorrow” would be. Since then, I’ve seen my mom care for my dad with grace and humility, even when his confusion caused him to lash out at her, and even now that he doesn’t know who she is. I’ve seen her make personal sacrifices to honor her commitment to love him “in sickness.” I’ve watched her rely on her faith to manage the grief of slowly losing her partner, companion, and father to her children. I’m ever so grateful for the example she’s set, even though I wish she never had to. Nearly two years ago, my mother-in-law, Penny, was diagnosed with stage IV, non-smokers lung cancer. It was a diagnosis that took us all by surprise because she was totally a picture of good health. The months since then have been an absolute rollercoaster of emotions as treatments would beat the cancer back, then they’d stop working. Most recently, the cancer spread to her spinal fluid, landing her in the hospital for three weeks. In the midst of that hospital stay, Nick and I went on a trip to Italy (planned many months before) and flew home early when doctors said things were getting worse. The day we got home, Nick’s brother proposed to his girlfriend. In the past couple of weeks, Penny stabilized and has returned home, and she now awaits her next treatment. It’s an absolute rollercoaster, my friends. Just as my mom has taken seriously her vows to love my dad in sickness, my father-in-law, Richard, has done the same for Penny. He has fiercely advocated for her care when the “standard treatments” just won’t do or hospitals fall short of their duties. He’s spent hours researching cutting-edge therapies, getting second (and third) opinions, and flying back and forth to Houston for doctor’s appointments. He’s been such an example to us of what love looks like. Be present with sick loved ones, and celebrate having that time with them. It’s easy to get caught up in the what-ifs and things to come, causing you to miss the present. Ask yourself (or your friend or your partner), “what’s one good thing that happened today?” This is a practice that Nick and I have used for a while now. Even something as small as a shirt coming out of the dryer without wrinkles is worth celebrating. Don’t just celebrate the big things like birthdays, holidays, and promotions. Celebrate a good sunset. Celebrate turning in work before its deadline. Celebrate Starbucks spelling your name correctly. And most importantly, don’t feel guilty about celebrating in the midst of sadness. I believe that my dad would want me to keep living life and living it well. I know Penny feels that way (she is the queen of celebrations, after all!). I’d hope that your loved ones would feel the same way, too. Finding things to celebrate–even having fun!–is a way to honor them, not disregard their plight. 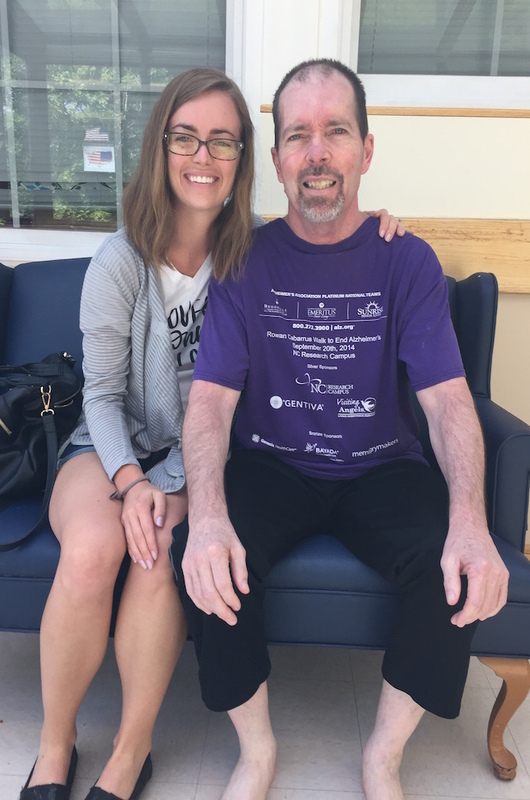 I’ll echo my good friend Alex when she shared her story about losing her father to pancreatic cancer: “I hope that you’re reading this out of curiosity and not necessity. If it’s the latter, know that you’re not alone.” As you may know, grief can feel like a riptide, pulling you under into an ocean of sadness and anger. But I’ve found that intentionally looking for rays of light–however small–helps me keep my head above the waves most days. So let’s keep celebrating in sorrow. 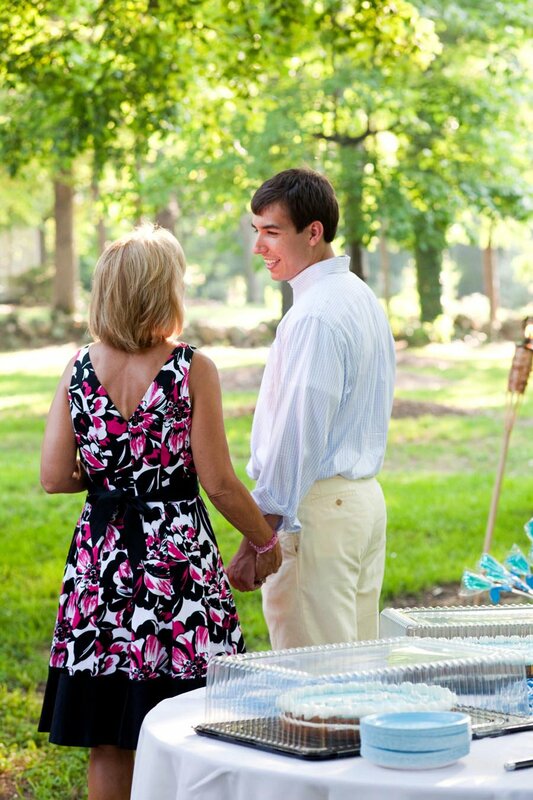 Wedding photos by Melissa Tuck. Kenan thank you for sharing your heart. 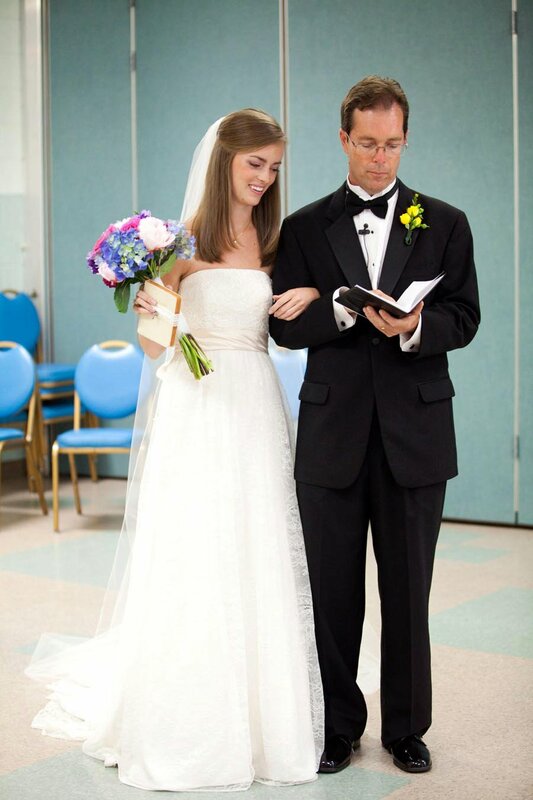 I’m so sorry about your precious Dad but what a beautiful example of love your parents have set for all us newly weds. Today is my 2 year anniversary so their story is very close to my heart. You and your Mom are incredible women. Will be praying for you and your family during this time hardship. A beautiful testament, Kenan. Thank you. I would only add – say “I love you” everyday and as often as possible. You’re right, Momma! I love you, too!! 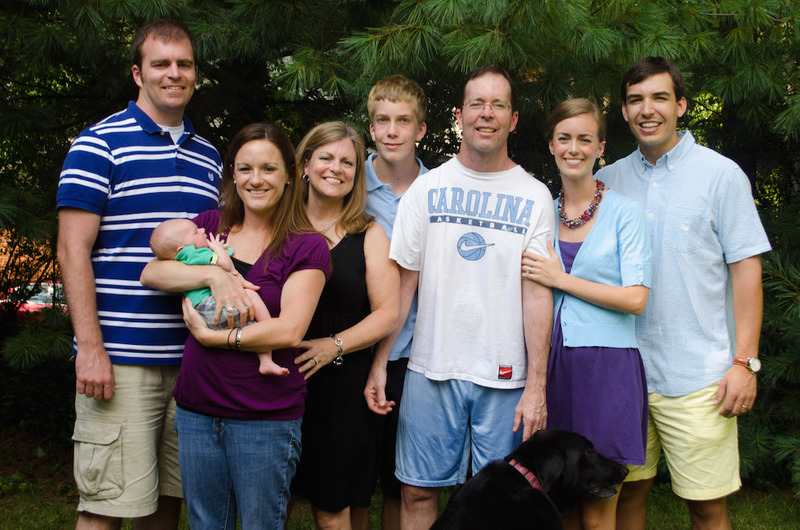 Kenan, I have known your parents since Dixie Youth baseball days when all was well. Your dad has always the highlight of each game with his sense of humor. Then in more recent years, I saw your dad daily at Morningside where my mother in law was also a resident in the Alzheimer’s unit. And your dad still wanted to dance with me every day when I came to visit Nana! It hurt me to see him slowly lose the joy in his life but I watched your mom’s determination to do what was best for him. I even tutored Graham in math for a semester. You have a family that has taught you many lessons and I thank you for sharing some of those lessons with the rest of us. And I agree with your mom—say ‘ I love you’ as often as you can! Delinda, thank you so much for sharing! I always love hearing stories about the way Dad impacted people. He loved to make people laugh! My celebration would be that I was blessed enough T to have your dad marry me in FBC of Ktown where I grew up and went to church with my family. Seeing where Joe signed my Bible means so much to me. I agree, celebrate the simple things each day. Melissa, I’m so glad you shared that. He was a blessing to many! Very sad, but beautiful words Kenan! I feel your ache…I lost my Momma while I was in my 20’s…36 years ago now. I really like that you have found the true joy of life…celebrate “everything”! Thank you, Debbie! We appreciate your prayers. When you hope, be joyful. When you suffer, be patient. When you pray , be faithful. Share with God’s people who are in need. Kenan thank you for sharing! This bible verse describes you & your family. Your dad baptized Rylan my grandson. Continued prayers for you & your beautiful family. Debby, thank you for sharing that!! We appreciate all of the prayers! Kenan, This is one of the most beautiful and courageous personal stories I have ever read. Your love is a big part of my strength. I thank God everyday that you are part of our family and I’m especially grateful that Nicholas has you as his soulmate!